Montana is home to federally recognized tribes on seven reservations, one state-recognized tribe, and a large urban American Indian population. Health disparities among American Indian and Alaska Native people are a serious, longstanding problem throughout the United States. In Montana, American Indian/Alaska Native people die at a median age of fifty years (more than twenty years earlier than white Montanans). Death rates for specific illnesses, including heart disease, cancer, respiratory illnesses, injuries, and suicide are substantially higher for American Indian/Alaska Native people in the state as well. 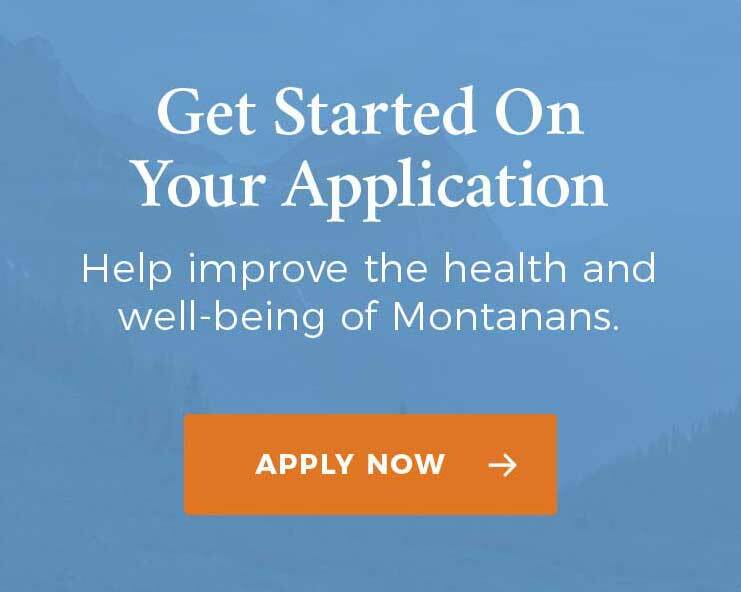 The Montana Healthcare Foundation (MHCF) was formed at the end of 2013 and is Montana’s largest health-focused philanthropy. American Indian health is one of the foundation’s three major focus areas. Statistics on health disparities are just a starting point for understanding the health of American Indian and Alaska Native people. To develop the MHCF’s approach, we met extensively with tribal health departments, hospitals, urban Indian health centers, and others to learn about the practical realities behind these numbers and to develop a strategy to address them. Four key findings have driven the foundation’s strategy. American Indian people receive care from a complex mix of federally run Indian Health Service facilities, tribal health departments, and urban Indian health centers (often referred to as the “I/T/U health system”), as well as from community health centers, county health departments, and private hospitals and clinics. Despite geographic proximity and many shared patients, there is often little direct collaboration between the I/T/U and nontribal health systems. The MHCF supports new partnerships between tribal and urban Indian health centers and the nontribal health system through convening discussions and offering small start-up grants. For example, a $25,000 grant to the Fort Peck Tribal Health Promotion/Disease Prevention program in 2015 and initial meetings facilitated by foundation staff seeded a partnership between the Fort Peck Tribes and the Billings Clinic (a large, multispecialty health system) to provide telehealth services to a network of school-based clinics. This new partnership was recently awarded a $1.2 million Health Resources and Services Administration telehealth grant to implement the partnership. While “cultural barriers” are often cited as a challenge when working with American Indian/Alaska Native communities, we found that practical issues that relate to chronic underfunding and resource scarcity in the I/T/U health system—such as health workforce shortages, lack of administrative staff, and suboptimal Internet and computer systems—present more serious challenges. To address these challenges, we do our best to adapt our grant process to overcome these barriers. For example, during a brief planning meeting to discuss a potential proposal, a tribal health manager received five calls. Since he did not have an assistant and given that each call could be anything from a minor administrative question to an at-risk kid in crisis, he answered every call. At his request, we arranged a half-day planning session out of town at a convenient time and even brought a grant writer to help develop his proposal. For other projects, foundation staff have helped enter proposals into our grant system when Internet connections were problematic, allowed more time to complete proposals when unexpected staffing changes occurred at potential grantees’ offices, and paid for a grant writer’s time to help draft solid proposals. A focus on personal outreach and a flexible approach to the grant application process allowed us to bring in strong proposals from each of the seven reservations in Montana and two urban Indian health centers, all of which resulted in grants, in our first year of grantmaking. The Affordable Care Act and other laws over the past decade have created an unprecedented opportunity to expand insurance coverage for American Indian/Alaska Native people and to strengthen the health system through adding insurance reimbursement to historically inadequate federal funding. The complexity of coding, billing, and administration, however, contributes to considerable lost revenue, and, thus, funding shortfalls and the attendant delivery system problems persist despite improvements in federal policy. To address this challenge, the MHCF has provided a number of grants to tribal health departments and urban Indian health centers that seek to improve the delivery system through strengthening coding, billing, and health services administration. Until recently, Montana lacked a clear policy framework to address health disparities. In 2014, tribal health officials initiated meetings with Governor Steve Bullock (D) to advocate for more attention to this problem. These meetings culminated in the governor’s decision to issue Executive Order No. 06-2015 on American Indian health, which established the nation’s first state Office of American Indian Health. MHCF supported the development and later implementation of this order by facilitating discussions among tribal health directors and conveying priorities and suggestions for a framework for action to the state government prior to the issue of the executive order, and by facilitating a state to tribal government-to-government consultation, on October 20, 2015, on how to implement the order. In April 2016, Montana’s seven tribal health directors and five urban Indian health center directors gathered with a goal of developing shared objectives and working together to address longstanding health challenges. The MHCF funded, organized, and helped facilitate this meeting. Participants noted that this was the first time they had met to discuss their work, and they felt that the meeting was so valuable that they have now decided to meet quarterly to pursue collaborative solutions. Health disparities among American Indians are the result of not only a fragmented and historically underfunded health system, but also a long history of trauma, racial discrimination, and social inequities. There are no simple solutions, but based on the MHCF’s first two years of work in this arena, it is clear that foundations can play a critically needed role through providing time, skill, and investments that facilitate collective action. To read the original post on the Health Affairs Blog, please click here. Dr. Aaron Wernham, Building New Partnerships For American Indian and Alaska Native Health, Health Affairs Blog, August 9, 2016, http://healthaffairs.org/blog/2016/08/09/building-new-partnerships-for-american-indian-and-alaska-native-health/, Copyright ©2016 Health Affairs by Project HOPE – The People-to-People Health Foundation, Inc.